Consider your training design – Whether you are using an in-house trainer or working with a third party vendor, does the facilitator offer “next steps” to make sure participants not only learn through reinforcement, but are given opportunity to learn through practice? If not, then it may be time to evaluate training design in order to ensure that which is offered is given opportunity to be owned. Also, is the trainer recycling materials that are out of date or irrelevant to your desired outcomes? Consider your application timeline – Quoting Saks and Belcourt, Raymond Noe observes, “Despite the importance of transfer of training and the emphasis that some companies are placing on it, research suggests that only 62 percent of employees transfer training immediately after completing training programs. This statistic decreases to 34 percent one year after training.” Depending on the complexity of the topic, you may need to prepare for several months and possibly even years for proper transfer of training. Consider your workplace environment – How successful are your efforts to create a climate that is conducive for transfer of learning? Are expectations clear? Do members of management support training efforts? Are employees encouraged to learn and then apply it? Are they evaluated pre and post-training to ensure transfer of training is indeed occurring? Is training a threat or an opportunity? Consider your employees’ abilities – When preparing our employees to learn something new, it is important to analyze their abilities. This is a delicate balancing act. If we give them something that is too simple, they may categorize the training as a waste of time. If we give them something that is too complex, they may reject the training as unreasonable. The key is to stretch our employees, but not break them. Consider your employee’s motivations – An unknown author rightly noted, “In absence of clearly defined goals, we become strangely loyal to performing daily acts of trivia.” Some employees will set their own goals, but most will not. Co-setting training and development goals is one of the greatest gifts you can offer an employee and one of the primary ways to ensure transfer of training. Let’s keep the conversation going. How to you facilitate transfer of training in your organization? A few years ago, I was exploring the shelves of a “vintage” bookstore. On one of the dusty shelves, I stumbled across a book called The City Manager: A New Profession by Harry Aubrey Tomlin, written in 1915 at the dawn of the Council-Manager form of government. It was a fascinating look back at a time when the city management profession was viewed as a reform movement and city managers as aggressive change agents who were dramatically transforming how cities worked. City government is experiencing a civic revolution. We have run suddenly upon a novel age where tried formulas are nil, where old landmarks are transformed into strange beacon lights and the new anchorage is yet afar off. Revolution in municipal government is but one of our ventures into the virgin land of untried things. The seeking of the truer, cleaner and the finer, of the less wasteful and more efficient is the advertisement of our national restlessness. The failure of the old has stung our pride into a pilgrimage to find something newer, nobler, and more satisfying than that which the old government could give, with its incompetence, its sloth, its extravagance. From this genesis, the new order sprang. The City Manager plan is part of this more modern trend of thought. As I read and reread Tomlin’s description of the political and operational context within which the Council Manager form of government was established, I realized we are once again in an age marked by national restlessness. But this time, the loudest voices cry out for a return to politically-driven management decisions, dilution of the City Manager into little more than an administrative executor of political decisions, and a leadership style that can best be described as “lick your finger and hold it up to the wind”. Cities who aspire to excellence must resist these forces of mediocrity and political cronyism which tempt us to return to the old ways “with its incompetence, its sloth, its extravagance”. Instead, local government managers must recapture the sense of reformation that accompanied the founding of the profession. We must once again become revolutionaries who passionately seek “the truer, the cleaner, the finer… the less wasteful and more efficient”. Leadership requires great listening skills. A good listener shuts up and listens. That’s it. A good listener lets the other person talk until he/she finishes the point. And, the leader does not respond until certain the speaker’s message is fully delivered, and clarified, and understood. At the heart of this skill is the simple trait called “turn-taking”. To be a good listener, a person has to “take turns”. Now, it is your turn to speak, and my turn to listen. Then, it will be my turn to speak, and your turn to listen. When you speak over someone, when you are “figuring out what to say” instead of listening, then you are not listening! You are doing something else other than listening. So, shut up, clear your mind, and pay attention. This is what listening is. The first person speaks, while the second person listens. Then the second person speaks, while the first person listens. Turn taking is the key. Conversation is an exchange of turns, and having a turn means having a right to hold the floor until you have finished what you want to say. So, if you are a leader, and you are in the midst of a listening moment, let the person speaking “hold the floor” until the one speaking has finished what he/she has to say. Wait, listen, hold your tongue, focus, pay attention, shut up! Then, and only then, is it your turn to speak. Today is Memorial Day, which should be one of the most sacred and reflective days for all Americans, but especially those who lead others. On Memorial Day, we remember those who sacrificed their lives for our country. They gave all they could give. One of my own uncles, Alton Mowery, died in the Philippines during WWII. He was in the infamous “Bataan Death March” and died later in a prison camp. If you’ve read the book Ghost Soldiers, you’ve read his story, although he’s not mentioned by name. My grandmother, Alton’s mother, never visited his grave in the Philippines, but every Memorial Day—and I do mean EVERY Memorial Day—she led her family to solemnly honor his sacrifice. It made an impression on me as a young boy, although it wasn’t all that exciting, as I recall. BE – refers to one’s character. It is inner strength which gives a person the courage to do what is right regardless of the situation. This character energizes a leader to develop the right attributes until they become habits. Leaders show subordinates through their actions how important character is. KNOW – refers to the technical skills, the ability to operate equipment, and conceptual skills. It also refers to the ability to make good decisions, as well as the interpersonal skills it requires to work well with people. Leaders are learners, and if you ever stop learning, it won’t be long until you’re no longer leading. DO – refers to the execution component of a leader’s responsibilities. It’s not enough for a leader to be and to know. At the end of the day: Leaders Do! They execute the mission. They communicate. They improve the organization. Things won’t improve in your city just because you have good character or just because you have an increasing base of knowledge. You have to execute. Today we enjoy the privilege of freedom because of the sacrifice of tens of thousands of people through the years. One of the best ways to honor them is to continue to make this a country worth sacrificing for. Let’s take the time to honor their sacrifice. And then, let’s make the most of the opportunities that their sacrifices provided by becoming the best leaders we can possibly be. 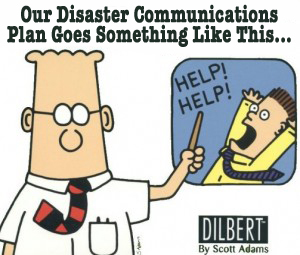 Do you have a disaster communications plan? I’m sure you do. Every organization has some kind of plan in a thick binder shelved away somewhere. So maybe I should word the question differently. Do you have an active disaster communications plan? One that you have frequently practiced? The importance of it is seen in situations like the recent fatal tornadoes that ravaged certain areas of Texas and Oklahoma. Even amongst the chaos, those affected had some sense of direction thanks to the officials who were in charge of the crisis communications. They distributed vital information to the public: locations of shelters and triage centers, what affected residents need to do, how others can donate to the tornado victims, etc. And that should be the goal for your organization—to be a compass in the midst of chaos. Not having an active disaster communications plan is like having a fire drill, but never practicing it. What do you think will happen when a fire actually strikes? “Practice isn’t the thing you do when you’re good. It’s the thing you do that makes you good.” – Malcolm Gladwell in Outliers: The Story of Success. If your organization doesn’t have a disaster communications team in place for natural disasters, I suggest you get one in a hurry and practice, then practice some more. The moment tragedy strikes is not the time to be unprepared. Need help making sure your plan is effective? It’s difficult to provide step-by-step instructions on what your team should do and how they should practice because not all situations are the same. Luckily, the CDC has a very comprehensive Crisis and Emergency Risk Communication handbook that will help you in various scenarios. It will help you prioritize the questions that need to be answered. What are the immediate dangers and risks? What do those impacted need to know now? How about next? And after that? Who will be the one(s) in control of getting this information out to the staff and public? The resounding theme is the importance of those responsible for giving out the information to stay five steps ahead of what’s going on. Even though there will be plenty of tweets and statuses floating around giving out all kinds of information, your organization needs to be the main source where facts are double-checked. It needs to be the place where the media gets its information and where residents can stay in tune to the facts. Essentially—it needs to be the compass in the midst of chaos. Our hearts were breaking on Monday as horrific images of Moore, Oklahoma began to come in from one of the worst tornadoes in history. The physical devastation was mind-numbing. The unimaginable agony of parents whose children were missing was gut-wrenching. 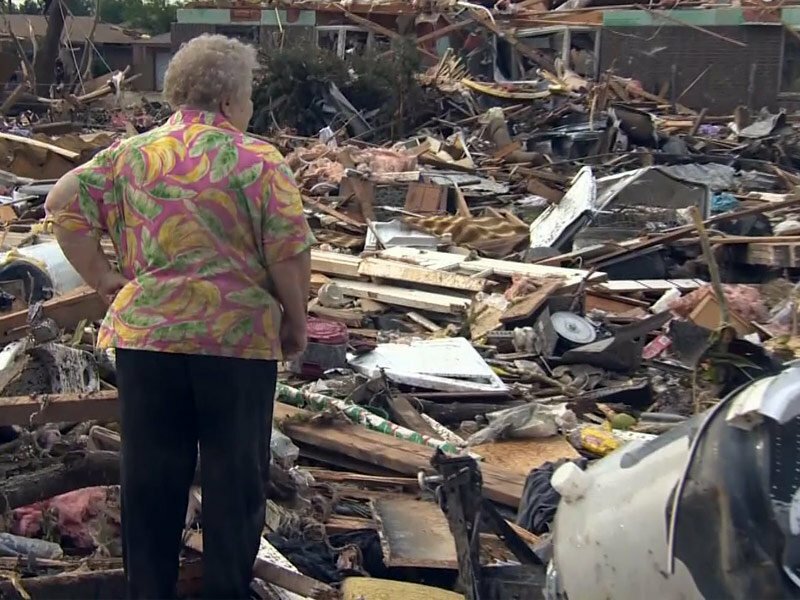 The warnings had sounded, the people of Moore did the right things to take shelter, and yet that wasn’t enough. The fury of the storm was beyond imagination. For me and for so many I talked to and for so many interviewed on television, the overwhelming sensation was one of helplessness. But for the public servants of Moore, and the area communities there was not time to feel helpless. It was time to act. Before the skies had cleared, before the rain had stopped, before the storm was over, before in many cases they even knew whether their own families were safe and secure, city employees moved into action. Firefighters appeared on the scene to begin rescue and recovery efforts. Police officers began to manage traffic flow to ensure emergency access. Street workers began to assemble barricades to prevent access to dangerous areas. Utility workers began to repair broken water lines. Animal control workers began to deal with roaming and displaced animals. Public Information Officers began to deal with the onslaught of the media. Parks workers began to transform recreation centers into makeshift emergency shelters. Account clerks began to contact vendors to get needed supplies delivered immediately. Solid waste workers began clearing and hauling debris. Traffic engineers began repairing broken traffic lights to ensure smooth traffic flow. I don’t know anything specific about who did what in Moore, but I do know all of those things happened. I know it because it is what public servants do day in and day out. The media tend to only care about the visuals of the flashing lights of police and fire. But the reality is that when disaster strikes, the entire city organization kicks into crisis management mode and everyone knows their job and begins to act with urgency and unity of purpose. 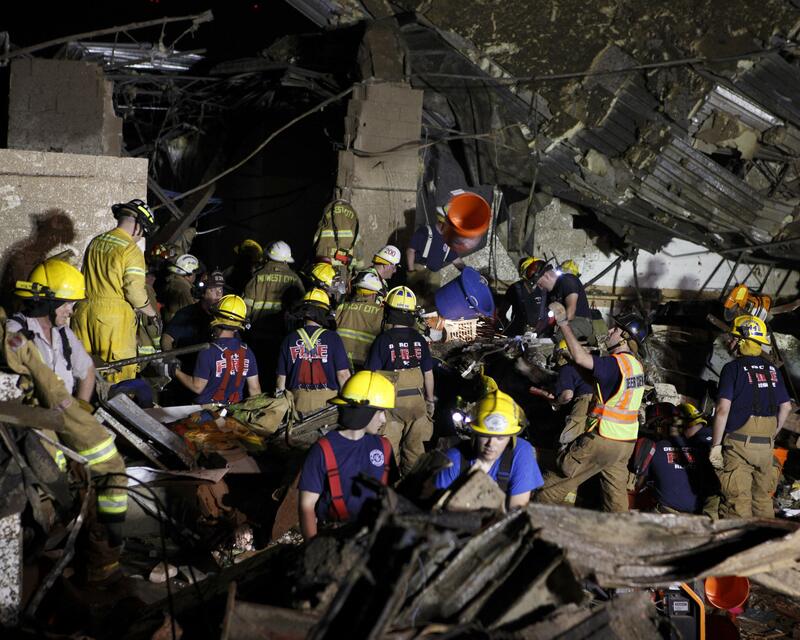 My heart is still breaking for the families whose lives have been devastated in Moore. But I am inspired by the quiet heroism of the public servants who no one sees interviewed on television… who no one knows their name… who no one notices as they work hour after hour late into the night to restore basic public services… who everyone takes for granted… and who place service to their citizens above their own safety, comfort, and needs. It takes someone special to always be ready to spring into action while the storm is still raging to assemble barricades, to clear debris, to rescue animals, to repair broken water lines, and ultimately to do whatever it takes to protect the well-being of the citizens they serve. It takes someone special to work hard to be taken for granted. It takes someone special to live the noble calling of a public servant. My belief in the nobility of public service is sustained by the actions of these quiet heroes. A Leader Who is Too Busy to Read? Read – then do – then read some more – then do some more. This is the formula. And this Marine General reminds us of it so clearly. I have been completely captivated by the wisdom in an email from Marine General Mattis. I read about it in a Business Insider article. This is not new to the USMC approach to warfighting — Going into Kuwait 12 years ago, I read (and reread) Rommel’s Papers, Montgomery’s book (“Eyes Officers”…), “Grant Takes Command” (need for commanders to get along, “commanders’ relationships” being more important than “command relationships”), and some others. How many times have leaders found themselves in situations that require wise decisions and quick thinking, but they only have their own experiences to draw from? How many people rise to positions of leadership that require wisdom and depth, and yet they try to fulfill their roles without continuing the practice of regular, even daily, substantive reading? 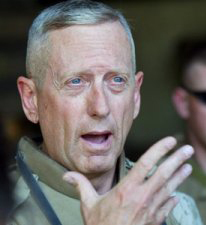 General Mattis reminds us that nearly everything we face has been faced before. As new as this strange new world is, it is not that new. If you read his email in its entirety, you come away with a deep sense that the failure to make time to read — the failure to read, and learn from what you read — is tantamount to a dereliction of duty for any leader. Read… You have to! And, read… Your people need you to. In the book The Great Workplace, the authors share the results of their extensive research on what makes an organization a great place to work—from the employee’s perspective. The research says there are three relationships that an employee has that makes the difference. So what kind of relationship to management, their job, and their colleagues is needed for an employee to feel the love? Relationship to Management. There are three key words: credibility, respect, and fairness. The employee must feel that management is credible. They walk the talk. The employee must feel that management respects the employee as a person. The employee must feel that management establishes and enforces policies that are fair. Relationship to Their Job. The key word is pride. The employee must feel pride in what he or she does. They must feel that it makes a difference, that it is significant, and that they are able to do it effectively. Pride is like cholesterol. There is a bad kind and a good kind. This is the good kind of pride. How can you tell? The good kind of pride is defined as: (P)-Personal (R)-Responsibility (I)-In (D)-Developing (E)-Excellence. When employees have that kind of pride, and they TRUST management, your organization is well on its way to becoming a great workplace. Relationship to Their Colleagues. The key word is camaraderie. I’ve observed that if the first two relationships are in place, it’s often the case that this one is the easiest to establish and maintain. In fact, most of the time when there is a lack of camaraderie within the organization, it’s not really a personality problem. It’s usually a systems problem. The operational systems that govern processes, work, and relationships are usually flawed and are creating the strife. So as a leader, if you want your employees to feel like, “This is a great place to work!” Then it might be helpful to take a serious look at these three relationships. And don’t forget to consider the impact of the way you do things. Changing the way you do things just might change the way employees see management, the job, and their colleagues. Okay, maybe punctuation doesn’t really save lives, but it definitely changes the meaning of your message. The smallest mistake could literally cost you. There’s a story of an employee who was e-mailing his boss about some new office equipment. So the employee went ahead and bought it. What the boss meant to say was, “No, price too high,” but the mistake wasn’t realized until it was too late. See what confusion a little mark on a page can cause? In a world where everything is needed right now, you can’t overlook the importance of paying attention to even the slightest of details. Some of the e-mails I get from executives make me wonder if passing a basic writing class should be the requirement for getting promoted. Communication skills (written and oral) are imperative for those in leadership roles. 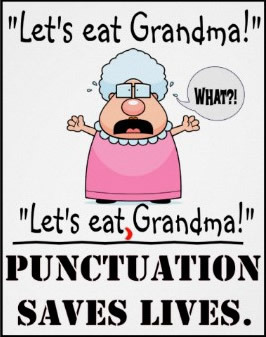 The correct use of punctuation is important— in text messages, in e-mails, and especially in formal publications. If you don’t know how to use any of them, learn how to as soon as possible. Just remember: punctuation can change the whole meaning of your message, so use it correctly. The sighs grow heavier and louder as the training session progresses. Eyes roll and pens lay untouched on the table. One or two stay put when the group is invited to stand for an activity. Sound familiar? Well, if you’re a trainer, you know I’m describing one of your most challenging dilemmas— disgruntled participants. They come in all shapes and sizes. Some of them resent being forced to participate in the training event. Others are in a lousy mood because a customer or co-worker prior to the start of the session reamed them out. Then there are those who just enjoy being difficult because that’s just how they are wired. So, what is a trainer to do? It is critical that you are well prepared. Being well prepared keeps you laser focused and greatly enhances your ability to stay in control of the training environment. Lack of preparation puts you on edge. Little things can become big things in a hurry, and you may quickly blame others for what is happening in class when the fault lies with lack of preparation before class. Show up early. Do not put the time a class starts in your calendar. Instead, put the time you need to be there on your calendar. At a minimum, you should arrive a half an hour prior to the session beginning. Best practices indicate you should arrive 45 minutes to one hour prior to start time. This allows you to check all connections, room set-up, and be free to start building rapport the moment the first participant enters the room. Invite participants to take an ethical approach to training. I gently remind participants very early in all my sessions that we are “at work”. I invite them to put the same energies into the session as they pour into their daily job responsibilities. Explain why we’re here. Malcolm Knowles, the thought leader in adult learning theory in the past many decades, notes adults learn more effectively when they know why they are learning. If you dive into the material without explaining why it is relevant, you may witness more blank stares than engaging minds. Finally, if you have a participant who wants to take control of the class, do everything you can to involve him or her in sharing their expertise. If things begin to get out of control, take a ten-minute break, get with the individual one-on-one, and politely describe to the participant how his or her behaviors are impacting the class. Treat the person with dignity and respect, which will increase the likelihood that he or she will reciprocate.